Alright!! This gunship and Gluttony 02 will directly engage the line of battleships. All hands to battle stations! In skies over the forest bordering the Monster Kingdom and the Alsace Magical Empire, two AC-130 Gunships and three F-15E Strike Eagles fly smoothly in formation undeterred. Deep within the forest, the Imperial Army Forces were secretly constructing their base camp. But Parabellum’s Infantry unit which was tasked to thwart it’s creation, was stuck in a close struggle. Requesting for air support, Two AC-130’s immediately sortie (Their call signs were Gluttony 01 & Gluttony 02) along with three F-15E Strike Eagles as escorts (Vegas Squadron). Equipped with AIM-9 Sidewinders short range air-to-air missiles and AIM-120 advanced medium range air-to-air missiles. Arriving within the designated airspace they contacted HQ. In the middle of being attacked by Imperial Forces who were constructing a base within the forest. The 8th Infantry battalion requested air support from Gluttony 01 & Gluttony 02. As their support stood-by for the designated coordinates, the 8th Infantry Battalion had used prominent colors as markers. 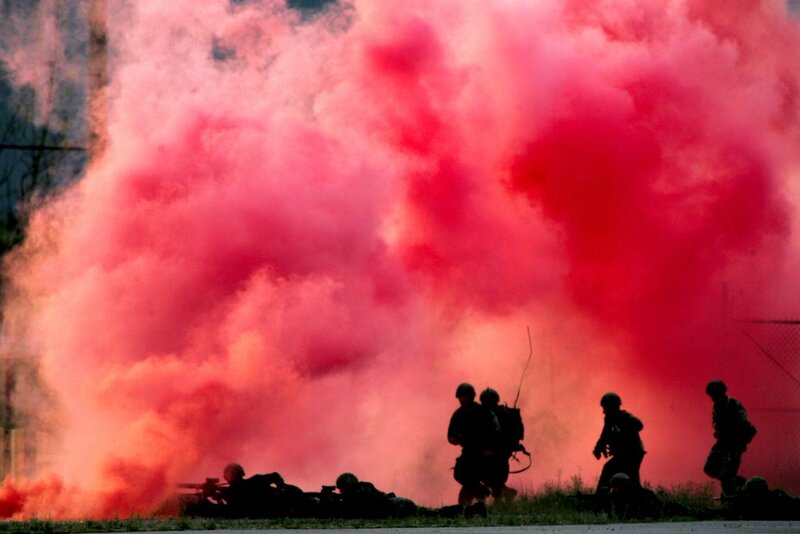 Red, green & purple smoke began to rise, billowing up from within the forest. Receiving the 8th Infantry’s reply, the two AC-130s began to lean left, heavily raining down 3 kinds of shells to the ground. 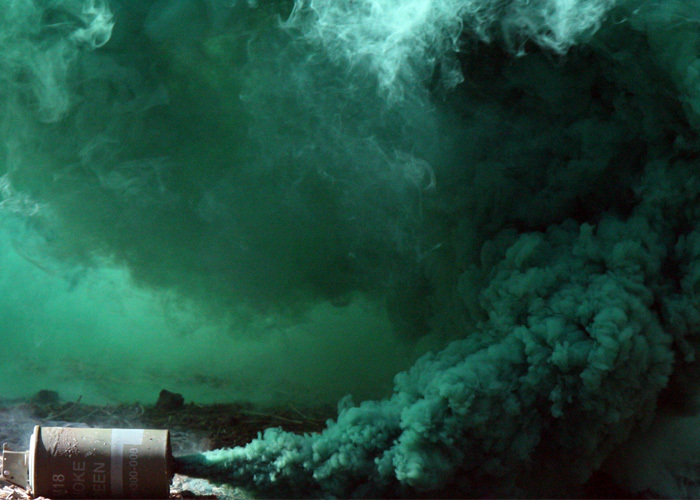 Towards the centers of the gaudy colored smoke. The gunners aboard the AC-130 would watch the situation on the ground using infrared sensors from black & white screens. Enemy soldiers would appear in either white or black. They would manipulate their joysticks, controlling the direction of their guns and pull the trigger to fire. Boom The deadly 105mm howitzer cannon shell landed in the center of the base built by the Imperial Army. The crimson flames and black smoke danced ascending higher, as the enemy soldiers were completely erased from the world. Alright next! boom boom Like the beating of a drum, the 40mm automatic cannon fires, luckily hitting a magical weapon⁴ causing it to burst, scattering shrapnel. The unique spurring sound of the 25mm Gatling guns motor echoes, as bullets run across the ground, mowing down trees. Giving the Imperial Army just a taste, before breaking down the spirits of those who had been bravely fighting to this point. Once the two AC-130’s completed their third rotation, the Imperial Army base which the 8th Infantry Battalion struggled against disappeared without a trace. Many of the young and thinner trees of the forest were burnt like a bald tree without leaves. After that patch of forest became scorched earth, the 8th Infantry Battalion, set out to confirm any sign of enemy activity as their air support ceased firing and stood by in the skies. Receiving the report of the annihilated Imperial base from 8th Infantry Battalion, Gluttony 01 & Gluttony 02 direct their aircraft’s noses towards Camp Dallas, concluding their mission. A flustered voice of a soldier from 8th Infantry, was heard through the radio as the connection hadn’t been disconnected yet. Gluttony 01’s Captain reacts, questioning the Soldier from 8th Infantry, but a reply was returned by Vegas Squadron. From the latest report, Gluttony 01’s Captain gazes towards surface, five cleverly disguised battleships discard their camouflage and begin to ascend to the skies along with their Dragon knight escorts. Requesting for reinforcements through the radio, the Lieutenant gives a sidelong glance towards the Captain before pulling the throttle lever, trying to force the aircrafts engine to increase its propulsion. If not for 8th Infantry’s discovery, the AC-130’s may have already been attacked. Concealed in the vicinity of the enemies encampment, five battleships arose intending to escape as fast as the can towards the Magical Empire’s territory. The battleship’s escorts, the Dragon Knights tried to attack the AC-130 gunships which had descended to a lower altitude in order to provide close air support for the 8th Infantry Battalion. The AC-130’s three Strike Eagle escorts, broke formation, dumping their extra fuel tanks to increase their maneuverability. Aiming their noses toward the Dragon knights they begin their attack. Despite the unexpected development where a line of battleships suddenly emerged from below. The attacking Dragon Knights began to struggle against the Vegas Squadron in a dog fight due to a difference in relative speed. The AC-130’s escorts succeeded in eliminating the Dragon Knights without receiving a single scratch. After defeating the Dragon Knights, the Vegas Squadron returned towards the two AC-130’s in a trail formation. While verifying their statuses. The Captain of the Vegas Squadron, asked for his men’s equipment status. While it was a good idea to intercept the Dragon Knights to protect the AC-130’s, they had run out of ammo and the enemies battleships were still intact. Listening in on the open comms channel, Gluttony 01’s Captain and Lieutenant watched the line of fleeing battleships. After hearing the report, Gluttony 01’s Captain made a disappointing face, but as he stared at the line of battleships his eyes began to sparkle like a lit candle. Noticing the glint in the Captain’s eyes the Lieutenant tries to rebuke him, but the Captain interrupts by declaring his grand scheme. Even though the sound of the engine reverberated, the gunships crew could not hide their shock from their Lead commander’s words. Since it was transmitted directly to their helmets radios. Inside the gunships cabin, the crew grumbled and complained, but everyone prepared for battle just as their Captain had ordered. Not listening to his Lieutenants counsel, the Captain stubbornly declared his answer. The Lieutenant shook his head, realizing he couldn’t sway the Captains thoughts. Instead the Lieutenant decided to stay composed in place of their Captain for their battle against the enemy. All in all, it was quite convenient that the Imperial battleships were fleeing in a single spread out column. Gazing intently at their formation the Captain’s expression changed, smiling like a devious delinquent. Initially the Lieutenant retorted, confused by the Captain’s request to deploy their flares, but in return the Captain gave clear and simple reply. And together, the gunships Gluttony 01 & Gluttony 02 timed their flares, deploying them at the same time. Emitting a sense of godliness, the sight surprised the line of battleships, causing their military formation to crumble. After grasping his Lieutenants report, the Captain roared his intentions to the rest of the crew. And this marks the beginning of the first, close-range aerial combat for an AC-130 gunship. The last battleship in the formation was the first to be targeted, two 105mm high-explosive rounds were fired from a distance of 300 meters, but they flew off their mark due to the wind. Although the first salvo scattered and missed, the 40mm automatic cannon & the 25mm Gatling gun, managed to hit their targets, striking the mast and main decks. Creating chaos aboard the enemy battleship, the 40mm automatic cannon round struck the ships central mast, causing them to loose propulsion and navigation. Furthermore the 25mm Gatling gun’s incendiary rounds caused a blaze that spread over the hull, enveloping the battleship. In a similar fashion, the two gunships fiercely struck the Imperial fleet, reeking havoc to their ships. The last battleship in formation (5th warship) drifted aimlessly after losing it’s central mast, slowly engulfed by flames. In a stroke of luck, the 2nd and 4th battleships exploded into smithereens, receiving direct hits from the 105mm high-explosive shells. The 3rd battleship was showered by 40mm cannon fire, creating holes along the hull. Causing the ship to snap in various places, before crashing in a scattered heap. The leading battleship was unlucky as the 25mm Gatling guns bullets struck its naval magazine creating a grand conflagration, secondary explosions occurred throughout the ship as it slowly dropped towards the surface. This would be a first in the history of close-range aerial combat, where two AC-130 gunships would one-sidedly defeat the Magical Empire’s Aerial Armada, preventing their escape. 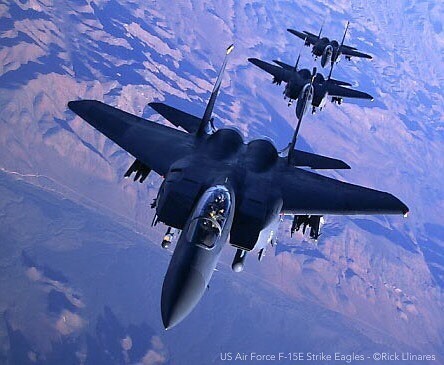 Gluttony 01, 02 and their Strike Eagle escorts returned to base in high spirits. And this concludes the battle, with the annihilation of the Imperial Armies (Chain of Command), from the Monster kingdom. TL Notes: This took 18 hours over the course of 5 days. Translating, editing & referencing. 1. Here are some videos of an AC-130 in action 10 minutes It shows, all the explosive weaponry and stuff like that. Here is a compilation of F-15E Strike Eagles. 2. Well you are free to interpret/ imagine the enemies flying ships, this is just a reference. 4. This is just my speculation but, their “Magical weapons” might be some kind of power armor, like a mech of some sort. Chronon mentioned this in his translations, and I kind of follow that logic. This is just a reference and not part of the story though. Well rather than make a new blog post, I’ll link a past rambling just because there aren’t much changes to my mood. Enjoy the weekend!! Thank you for the hard work in translating this. Can’t wait for you to catch up to the plot. Also what’s this? “~Break~” was wondering for awhile now. Yes, well the short answer for “~Break~” is like a pause within the radio transmission. But the sender of the message is not done transmitting. Usually when the sender ends their message, they say “over” which means they finished talking, this is like a “period” in Radio lingo. The “break” is sort of like the comma for Radio etiquette. Is this re-translation from previous chapter which already reach v3c17? Yes, this is a re-translation. I’ve currently re-translated Volume 3’s chapters 6 through 10. And my goal is to continue until the end of this volume. Thank you translator sama …. I would say blame the Otherworlders for that marks their presence highly on the bad side. The likes of them did not naturally advanced in mere moments as such those douchebags likely the one influence them with modern knowledge in mixing science and magic resulting mechas in advanced flying ships, magic weapons and such. Thanks for translating, the MTLrs got the names wrong called them Gratney instead of Gluttony.